Most of you know how much I love items that have my daughter’s name on it. While the item I reviewed below isn’t personalized, I can still rest easy knowing she’s wearing something unique. I love shopping on Etsy for this VERY reason. The chances of someone wearing the exact same outfit as her are slim. Sugar Plum Fairy Bowtique is absolutely amazing! I could NOT stop exploring her Etsy shop! I was given a size 18M shirt for Isabella. I was kind of nervous about this seeing as how she’s already in 2T t-shirts. However, I didn’t take the long sleeves into consideration. They are a bit long, which I am ecstatic about! I’d rather it be too bit than too small! She has room to grow into it before Halloween comes! The size turned out to be perfect! The t-shirt is quite stretchy, so I can pull it over my baby girl’s big head! Oh my goodness!! I want it! A Tutu Bow Holder is a necessity for ALL little princesses. 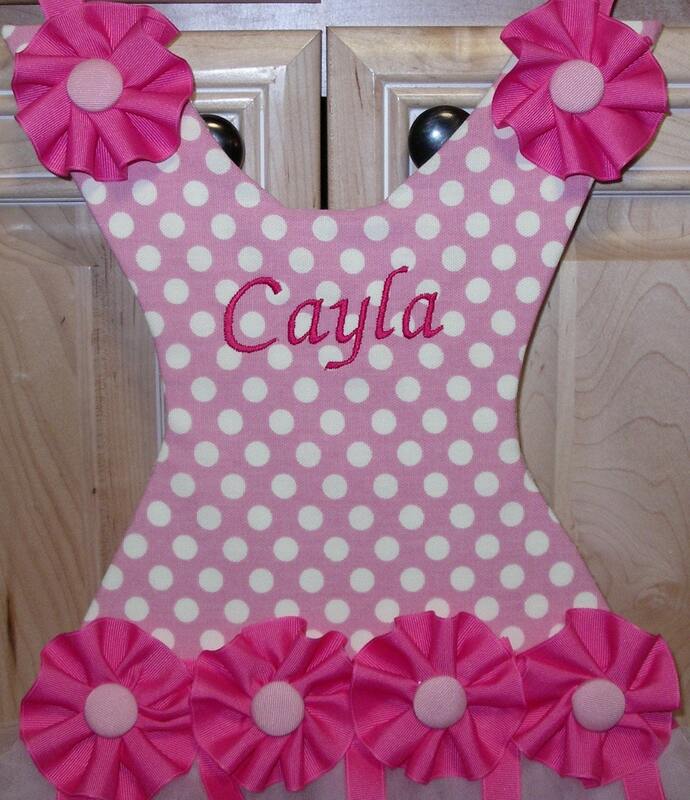 This Personalized Tutu Bow Holder is gorgeous! “This Personalized Tutu Bow Holder serves not only as a decorative accent to any girls’ room but it’s a perfect way to display and organize all of your precious hair accessories! This dress holds an abundance of hair bows. Hair clips, barrettes, fancy bobby pins and clippie’s can be attached to the many strands of assorted ribbons. You can purchase the Halloween BOO Embroidered T-shirt for $20 from Sugar Plum Bowtique‘s Etsy shop! A REALLY great price! You can sign up for Sugar Plum Bowtique’s newsletter via their blog! Disclaimer: I received the above product(s) from Sugar Plum Bowtique free of charge in exchange for an honest review. No other compensation was received. However, all opinions are strictly my own. What a cute bow holder! I never knew there were such creativeways to hold bows these days! Isabella looks so cute in her new shirt! They really have some cute and unique products! I could use a bow holder! My girls have so many cute bows! Peaceable Kingdom Valentine’s Day Cards = Enough For the WHOLE Class!